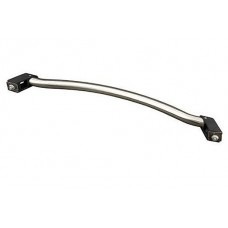 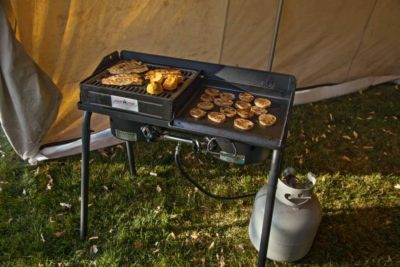 Covers one burner on both the 14″ and 16″ Camp Chef Cooking Systems. 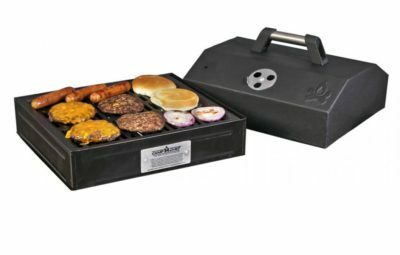 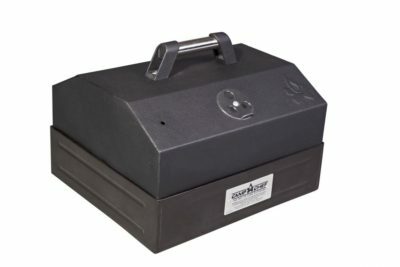 Transform your outdoor gas stove into a portable barbecue grill with the BBQ Grill Box 100. 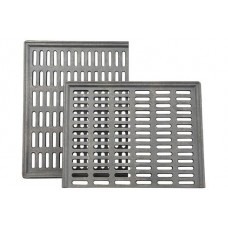 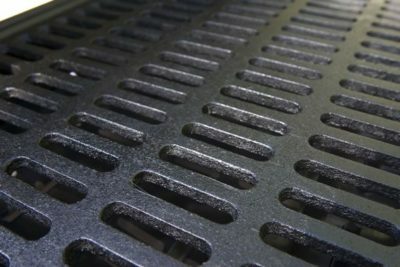 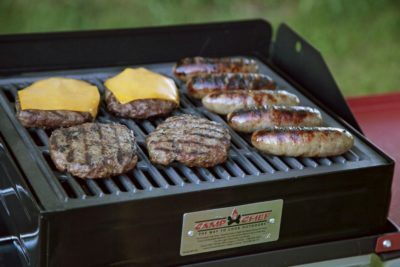 Bringing your burgers, bacon, and brats to a sizzle is easier than ever with the patented diff-user plate evenly distributing heat. 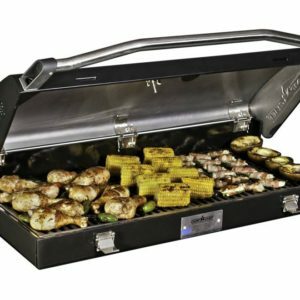 The diff-user captures and vaporizes the grease, infusing your food with a rich BBQ flavor. 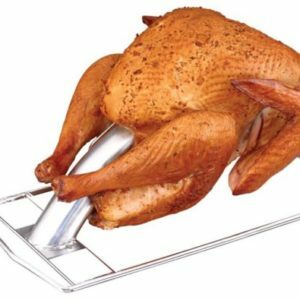 Close the vented lid to achieve the highest temperature. 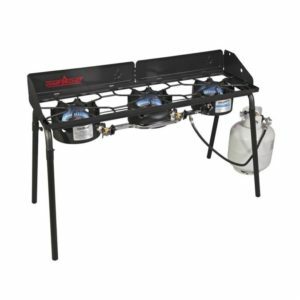 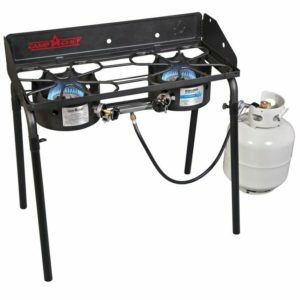 This system covers one burner on both the 14” and 16” Camp Chef Cooking Systems and is perfect for back country or back patio grilling.